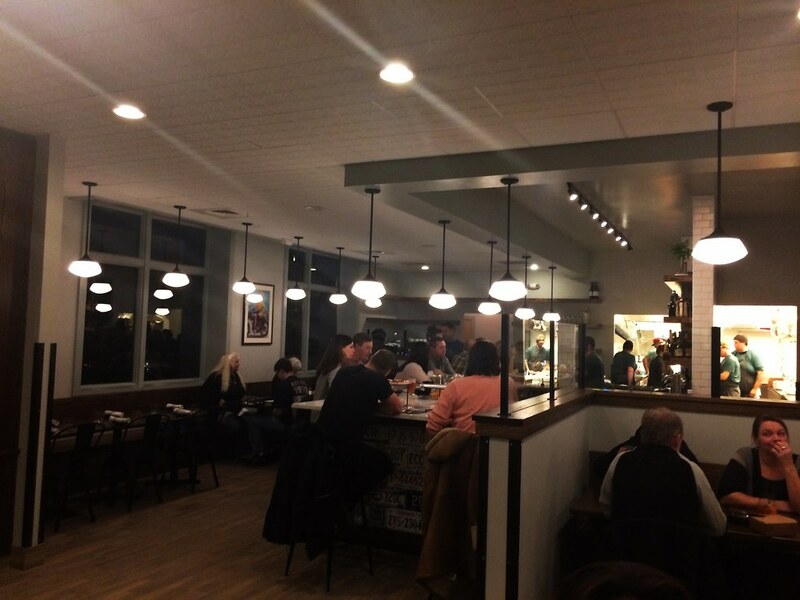 Tipo, the neighborhood restaurant from Central Provisions owners Chris and Paige Gould, opened last night, serving wood-fired pizzas, handmade pastas, and small plates. We went for an early dinner anticipating a crush of people, but found a pleasant, steady flow of customers in the open, well-lit space. The hostess sat us at a communal table for 10 and we scoped out the wine list. As the restaurant is Italian-themed, it seemed appropriate to order some red wine. I wasn't familiar with any of the wines, so I asked our server for advice, and she recommended her favorite, a delicious Barbera d'Asti ($11). Other drink choices included Italian bottled beers and cocktails like an Aperol Spritz and the Il Moto with Amaro Montenegro, Cocchi di Torino, Calvados, and plum bitters (admittedly I only know what like 2-1/2 of those ingredients are). We ordered a few small plates, a pizza, and a pasta dish. Our server informed us the plates come as they're ready from the kitchen, so sharing is recommended. We started with the marinated Spanish mackerel ($9) served over rapini with Calabrian chili and garlic. The fish was meaty with a nice fish flavor and bitterness from the greens. We also enjoyed the mushroom ragu with fried polenta and truffled egg yolk ($14). It's hard to go wrong with mushrooms and polenta in my book. The winter greens salad ($8) was also a hit—with pancetta, frico, black pepper and parm, it was much like a Caesar salad. Other tempting starters included the charred Mediterranean octopus, fried smelts, hand pulled mozzarella, and wood-oven littleneck clams. Shortly thereafter, the pizza arrived. 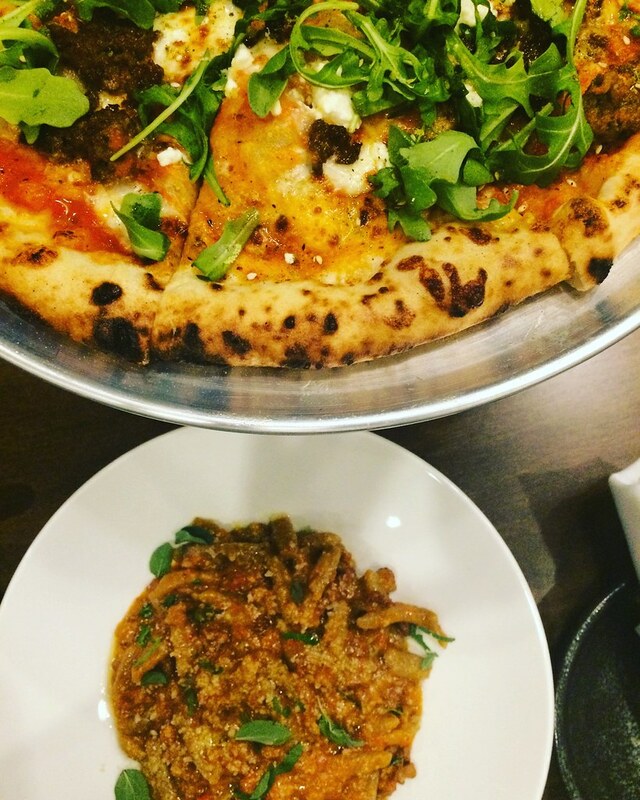 We chose the lamb sausage, feta, za'atar, harissa, arugula variety from 5 choices, with a make-your-own options available as well. The crust was tender and chewy with a nice char from the oven. Obviously we had to try some handmade pasta too and debated between the rye cavatelli ($12/24) with pork ragu and the black pepper tagliatelle ($10/20). (OK, I was only pretending to consider the tagliatelle, I knew going in I wanted to try the ragu.) It was heavenly. My only regret is that I was filling up and wasn't able to eat more/all of it. 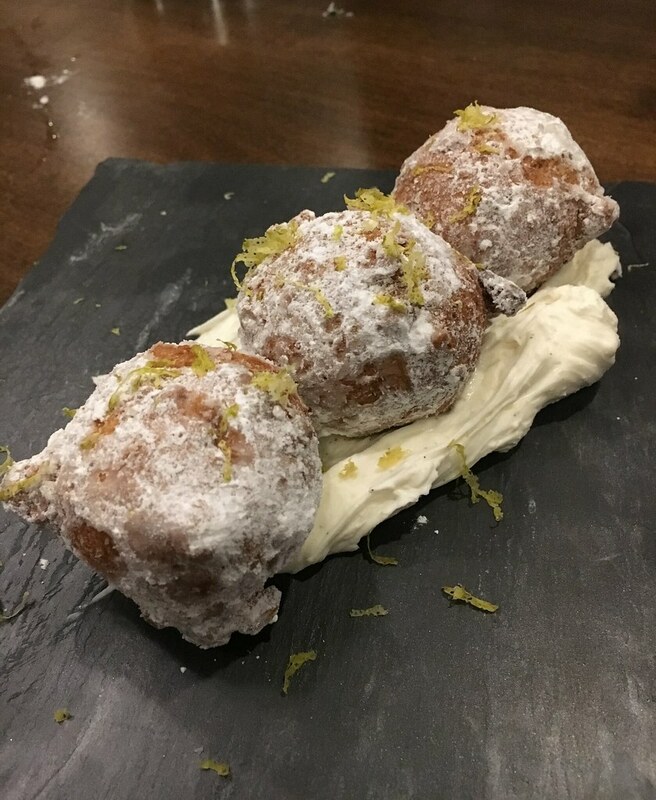 For dessert, we ordered the zeppoli, fried dough with whipped ricotta and lemon. The other choice was a chocolate hazelnut tart. The hot dough melted the sweet ricotta and it was the perfect end to our decadent carb-fest. Tipo is sure to be a hit with the neighbors. Even those used to dining on-peninsula should venture out to this relaxed neighborhood spot. 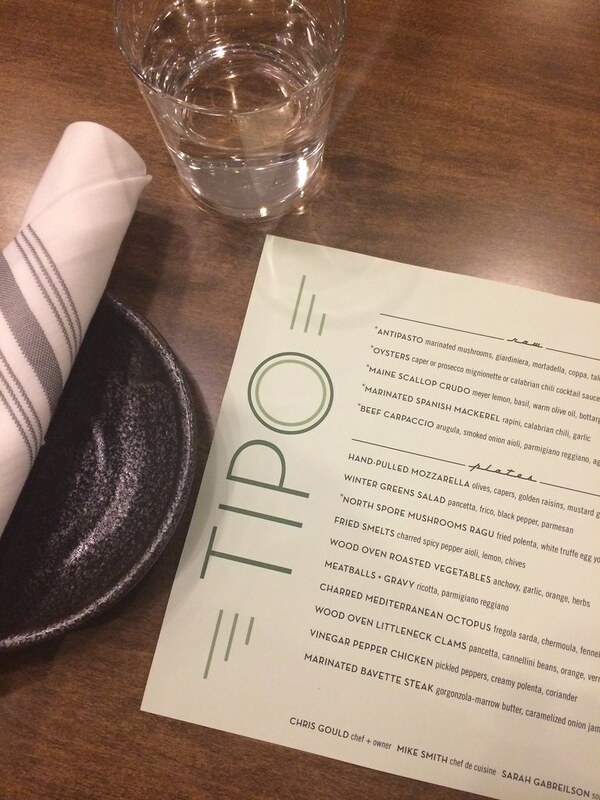 Tipo is located on Ocean Ave. in the former home of Borealis Breads. They're currently serving dinner at 4 p.m. with weekend lunch and brunch coming soon.